A lot of people online seem to be taking issue with this picture based on what they call “common sense” or the fact that “it just doesn’t feel right.” If you break it down though, the maths checks out. Let’s start with the distance of the moon from Earth. This varies greatly. The average distance is 384,403 km but if you look at apogee (when the moon is furthest from Earth) instead of mean this can be as much as 406,696 km, with perigee (the closest point) being 363,104 km. 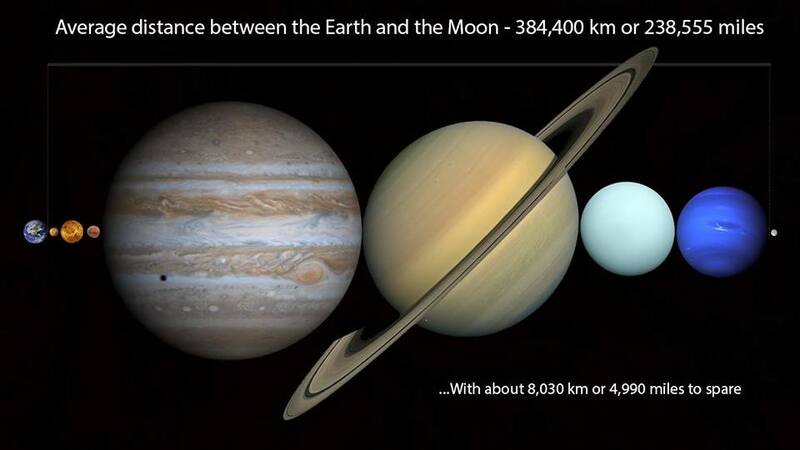 So the distance can vary by as much as 43,592 km, which can dramatically change the size of the moon in our view depending on where it is in its orbit. It seems that people struggle to realise just how vast distances in space are. That includes the empty space between Earth and the Moon, which, despite not being quite as mind-blowing as the distances between the planets themselves, is still tough to comprehend. Check out this table below. 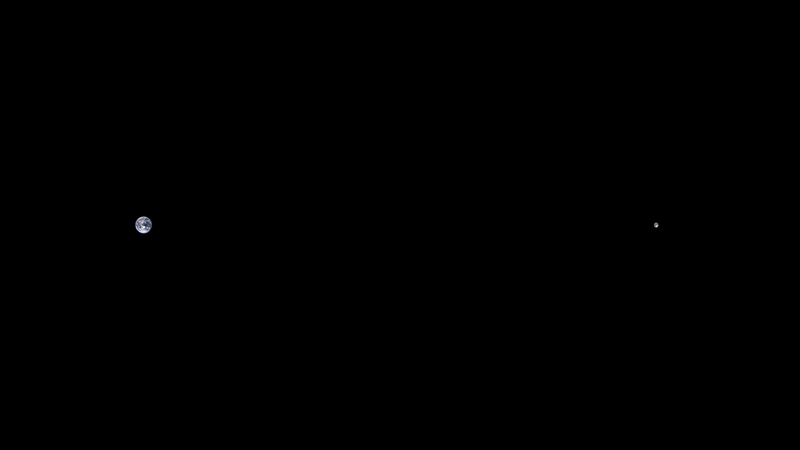 It shows the distances of the planets from the Sun and the Earth. 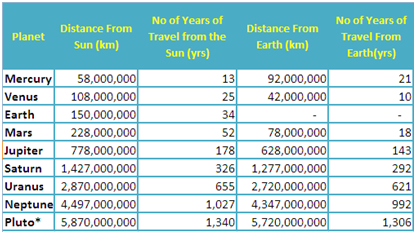 The distances in kilometers are rounded off obviously, but the accuracy of the two columns showing “years of travel” seems completely nonsensical. A trip to Mars currently takes about 7 months, so I’m not sure where they’re getting 18 years from. There’s no indication of type of spacecraft being used or the theoretical speed the spacecraft would be traveling to take those lengths of time to arrive at the different planets, so they’re not reliable figures. Ignore them. Nevertheless, you can still get a great sense of the distance between the planets and just how phenomenally vast they are. Just the distance between us and our closest neighbour, Venus, is 42 million kilometers. This means that, working with the diameter of the Earth sitting at 12,742 kms and the rounded off distance of Venus from Earth in kilometers, you could fit 3,296 Earths between Earth and Venus, with room to spare. 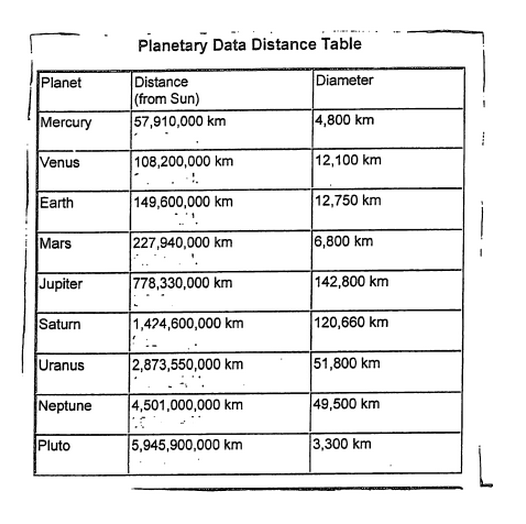 Right, now let’s break down the diameters of the planets. I got these figures from Universe Today but there are varying figures all over the internet. They don’t vary enough to wreck the basic conclusion though. 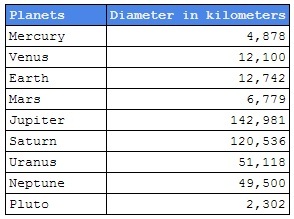 The total of all the combined diameters without factoring in distances between them is 402,936 km. So let’s recap: the moon is 406,696 km away from Earth at apogee. That means you could easily fit all of the planets between the Earth and the moon, although this is strongly advised against as it would wreck Earth pretty quickly. Next Post Time for an 1840s science lesson, folks! The graph they are using for “years to travel” appears to be using a speed of around 500km/h. Ah interesting. Thanks for weighing in 🙂 That confused me a bit. Comment from discussion PerplexingPotato’s comment from discussion "Our seven fellow planets could fit end to end within our Moon’s orbit around us [OC]". Ooh, is it yours? Ha, you’re very welcome. You’ve been all over the internet with this pic so I wasn’t expecting my little blog to make much of an appearance until Reddit got hold of it. Added your name to the pic caption. Sorry for not crediting you sooner; I had no idea where the pic came from. Very cool that your pic has made it to the far sciencey corners of the interwebs though!